Through long-standing relationships with highly-regarded associations across the UK, we have gained vast experience and in-depth knowledge of their unique requirements. We understand the importance of delivering value and take care to ensure our work reflects the professionalism of both the body and its members at all times. We also appreciate that a trade association would often rather speak to influential business-related audiences than seek mass coverage. Shepherd PR can promote your body in a positive light to support operational activity, reinforce existing work, influence opinion and enhance professional reputation. We would produce a bespoke PR plan, tailored exclusively to your requirements and designed to deliver the best possible results. Trade associations can access four main areas of expertise to raise awareness of the body, endorse the professional standards of their members or perhaps promote themselves as an authoritative voice of their industry. Whether it’s through media coverage, videos, social media or award entries, Shepherd PR has experts in the field with the ability to deliver tangible results. Relevant news stories, comment on topical issues affecting your industry and contributions to wider features – we can help get your message across in just the right manner. We can also play a key role for members through articles promoting their standards of professionalism. The bedrock of our business is news and the experienced former journalists at Shepherd PR knows what makes TV, radio, newspapers and magazines tick. 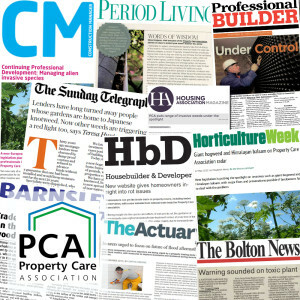 We’ll take you through the process, from planning to publication – we’ll be there to help you get your news and views noticed. Creative video is an innovative way to raise the profile of your trade association or that of its members. Current trade body clients have used our eye-catching and professionally-made films to highlight a variety of issues affecting their industry. Instructional videos can help establish a trade association as the first port of call to members of the public, while features about the work of a body can increase awareness from within the professional ranks. Films are also an ideal way to showcase exemplary projects to a wider audience, but they do need to look and sound good and our in-house experts have the knowledge and expertise, together with the top-notch equipment, to deliver unique videos that will present your trade association in the best possible light. There’s a good deal of hype surround the value of social media for businesses or indeed trade organisations, but the truth is it works. It does need to be tailored to the individual needs of a specific body and based on timely, quality content that’s both appropriate and relevant. We’ve worked with a wide range of trade bodies on the day-to-day operation of a social media strategy. Such a track record means we can provide two major benefits – a true understanding of what works, based on real-world experience, and a focus on results that matter. Trade bodies enter awards for a variety of reasons, but often because being successful brings its own rewards. Winning a prize, from the industry itself or even from a wider sphere, is a worthy acknowledgement that you’re doing things well. It can open up new opportunities, give staff and members a sense of pride at your achievement and make you stronger as a result. Shepherd PR has produced more than 40 successful entries for our clients in national and regional awards, earning them valuable recognition along the way. From writing and collating information to presenting it in the most attractive way, we’ll take care of your entry process from start to finish. 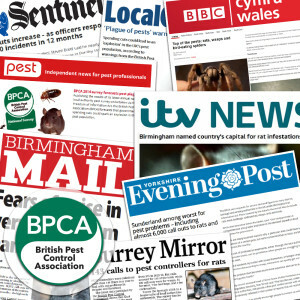 For the last three years, Shepherd PR has been asked to launch the British Pest Control Association’s nationwide pest survey. 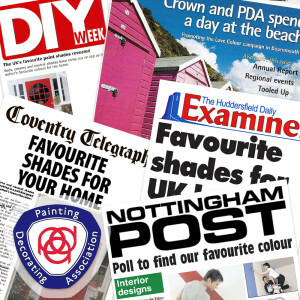 The development of a PR campaign ‘Love Colour’ to promote creativity in the decorating industry for national trade body the Painting and Decorating Association. 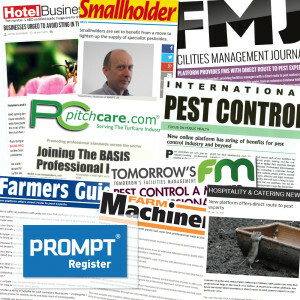 An ongoing initiative to raise the profile of the professional register and develop coverage of how membership is a demonstration of expert credentials for pest control companies. 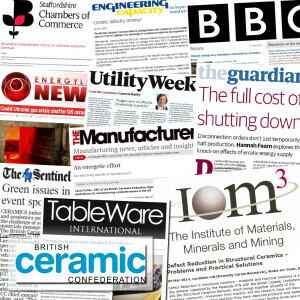 The British Ceramic Confederation’s comments on issues including energy, health and safety and sustainability reached influential audiences across a range of technical, broadcast and regional titles.